I am a fan of Guy Kawasaki from way back. His first book, The Macintosh Way, inspired me to start my own business when I was at university. And now he’s parlayed his experience as Apple’s first fan boy and VC investor into global social media superstardom. Articulate’s roots are in content creation but we’re learning to love social media marketing (as well as marketing automation). So when Guy published his book The Art of Social Media, I decided we should do what he said in it. All of it. In one heroic week-long social media experiment. We called it Kawasaki Week. 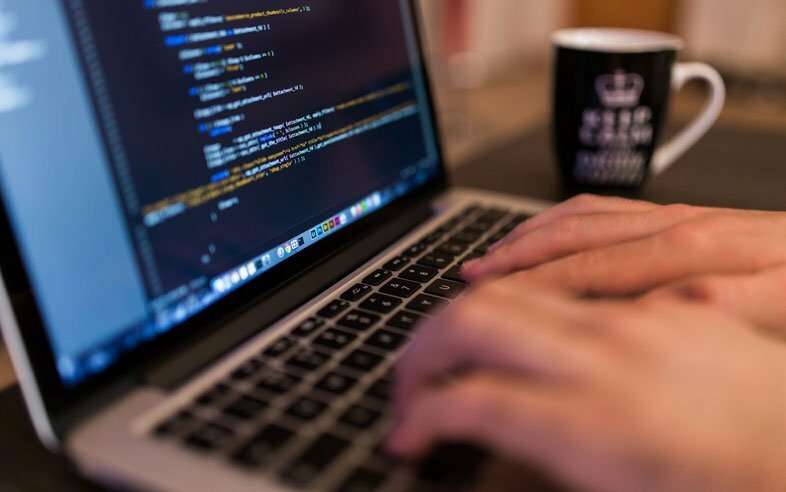 But beyond strictly numerical objectives, we wanted to develop scalable, predictable processes and explore tools and platforms to see what worked best. It was a modest starting point and it’s a bit embarrassing to admit these figures considering that we’re a marketing company. Everyone and their dog is a social media marketing expert. Except us, apparently. Other chapters covered things like launching a book and ‘How not to be clueless’ and they were either not relevant or, ahem, not applicable. Although we put it in the plan, we didn’t manage to do a Google+ hangout or join or start a Twitter chat. We will come back to these as separate projects later this year. It would be tedious to list each of the 84 separate tasks we completed during the week. My own experience was that there were a few high-value activities. Polishing up our profiles took some time but when you’re inviting people to follow you, it’s important to look like you’re worth following so we visited each channel and updated them. Another valuable lesson was the need to leaven our own content – talking about ourselves – with curating content by other people. We aimed for approximately four posts by other people for each one of our own. 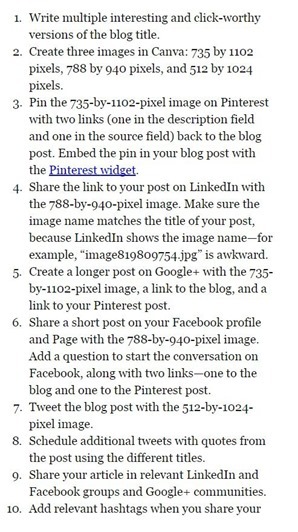 This allowed us to drive up the frequency of posts, which also seemed to be very helpful. Kawasaki’s checklist of activities to do for each piece of content was helpful. Retweeting other people’s material and commenting on it on a daily basis seemed to help too. 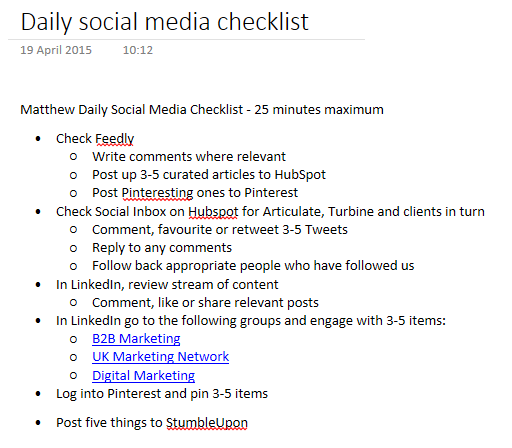 I have drafted a 25-minute daily social media checklist which I’m going to try for the next month to see whether the results can be sustained efficiently. 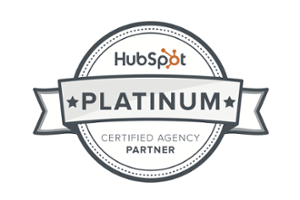 HubSpot. We used the schedule up our own content for publication over the week. 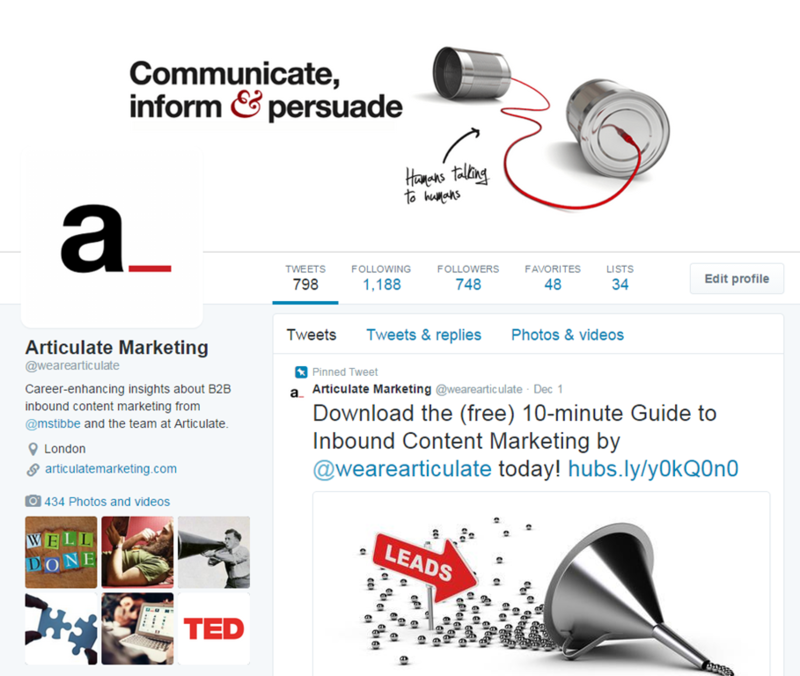 I also used it to monitor leads and prospects who tweeted using its social inbox feature which links up to our CRM. Feedly. When Google closed Google Reader, Feedly became the RSS reader of choice. I look at it ever day and I had already curated a list of interesting blogs to follow and a long list of bookmarked articles. This gave us a starting point for curation. IFTTT. If This Then That links Feedly and Tumblr. 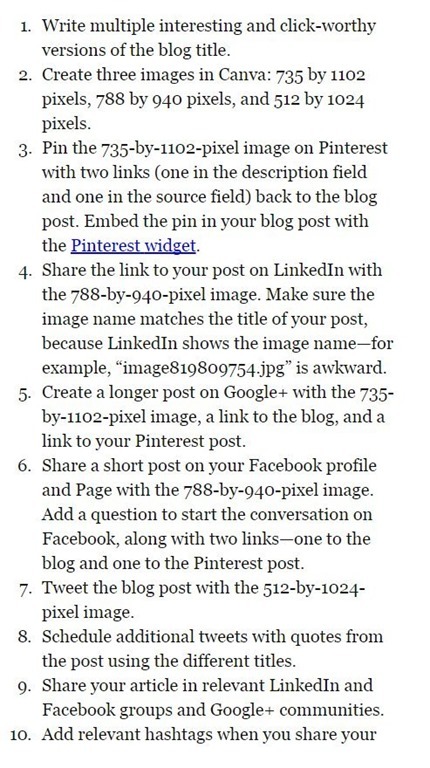 When I bookmark a post in Feedly, IFTTT automatically makes a post on Tumblr. Buffer. After a week of using HubSpot to curate third party content, we decided to go back to using Buffer which is just so much faster and optimised for this particular task. Commun.it. We’re looking at this to prioritise our engagement on Twitter – who to follow, where to comment and so on. We published a lot more Tweets, LinkedIn updates and Google+ updates. And they generated a twice as many clicks than the week before: 164 vs. 53. After just five days of Kawasaki week, we had added 274 net new fans and followers and our website had received 52 visits from social sources (vs 7 the week before). The majority were on Twitter but there were also some on LinkedIn and Facebook. Google+ lived up to its reputation as a sort of elegantly-designed ghost town. By the end of the whole week, the results were even better. Adding 400+ followers a week is very attractive. We have already started a promising sales process with one person who found us through social media during Kawasaki week. That sale alone would justify the time and effort. And, please, before I wrap this article up can I ask a huge favour? Can you Tweet, post, share, like and pin it? Then you’re part of our experiment too.